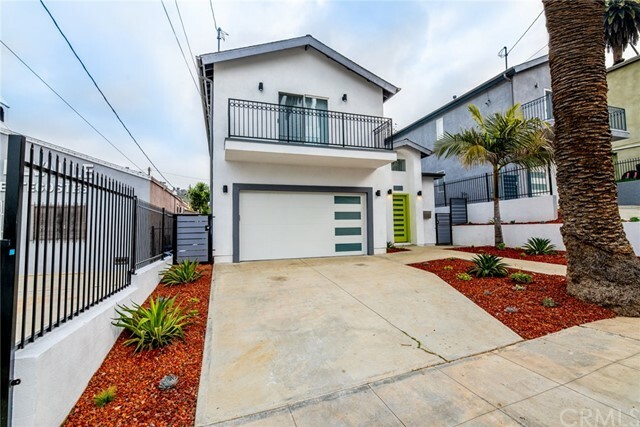 All Montecito Heights homes currently listed for sale in Los Angeles as of 04/26/2019 are shown below. You can change the search criteria at any time by pressing the 'Change Search' button below. "THIS TWO STORY 2008 BUILT SINGLE FAMILY HOME IS 4 BEDROOM, 3 FULL BATH WITH 1/4 BATHROOM. MASTER BEDROOM WITH MASTER BATHROOM WITH DOUBLE SINK VANITY AND BALCONY, MIRROR CLOSET DOORS, CUSTOM MINI BLINDS, LAMINATE WOOD FLOORING. FIRST FLOOR HAS OPEN FLOOR PLAN. BATHROOM SHOWERS HAVE GLASS SLIDING DOORS WITH BEAUTIFUL BACK SPLASH FINISH AND TILE FLOORING. KITCHEN HAS CUSTOM CABINETS AND QUARTZ COUNTER TOPS WITH STAINLESS STEAL FRIDGE, STOVE, MICROWAVE AND DISHWASHER. CENTRAL AIR AND HEATING, 2 CAR ATTACHED GARAGE WITH EASY ACCESS TO HOME. ACCESS TO BACKYARD THROUGH LARGE FRENCH DOORS. BACKYARD HAS A WELCOMING SERENE FEELING. FRONT YARD IS DROUGHT FRIENDLY. PROPERTY HAS BEEN COMPLETELY UPGRADED INSIDE AND OUT, OVER ALL THIS PROPERTY HAS A BEAUTIFUL AND HIGH QUALITY FINISH. 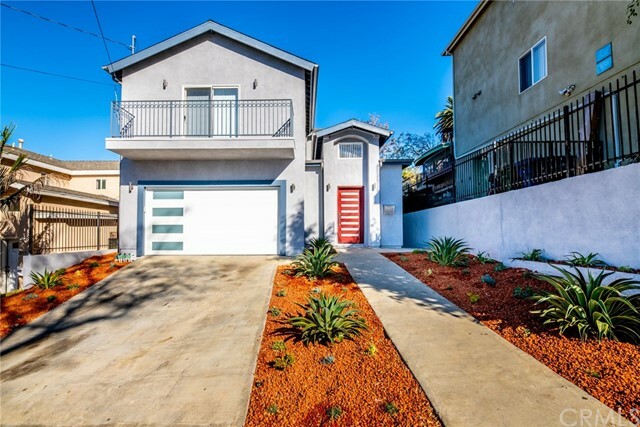 LOCATED NEAR DTLA, PASADENA, ALHAMBRA, DODGER STADIUM, AND THE 110 FREEWAY." "THIS TWO STORY 2008 BUILT SINGLE FAMILY HOME IS 4 BEDROOM, 3 FULL BATH WITH 1/4 BATHROOM. MASTER BEDROOM WITH MASTER BATHROOM WITH DOUBLE SINK VANITY AND BALCONY WITH A BEAUTIFUL VIEW OF THE CITY LIGHTS, MIRROR CLOSET DOORS, CUSTOM BLINDS, LAMINATE WOOD FLOORING. FIRST FLOOR HAS OPEN FLOOR PLAN. BATHROOM SHOWERS HAVE GLASS SLIDING DOORS WITH BEAUTIFUL BACK SPLASH FINISH AND TILE FLOORING. KITCHEN HAS CUSTOM CABINETS AND QUARTZ COUNTER TOPS WITH STAINLESS STEAL FRIDGE, STOVE, MICROWAVE AND DISHWASHER. CENTRAL AIR AND HEATING, 2 CAR ATTACHED GARAGE WITH EASY ACCESS TO HOME. ACCESS TO BACKYARD THROUGH LARGE FRENCH DOORS. BACKYARD HAS A WELCOMING SERENE FEELING. FRONT YARD IS DROUGHT FRIENDLY. PROPERTY HAS BEEN COMPLETELY UPGRADED INSIDE AND OUT, OVER ALL THIS PROPERTY HAS A BEAUTIFUL AND HIGH QUALITY FINISH. LOCATED NEAR DTLA, PASADENA, DODGER STADIUM, AND THE 110 FREEWAY."